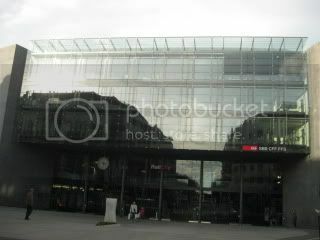 I returned to Zug Station in the early evening. On the final night in Zug, I was invited to dinner at Mike's house with his family. But, he got sick (his son had been sick past days and Mike got it from him), and he called me to cancel. So, I stayed in Zug and looked for a good place to have dinner by myself. 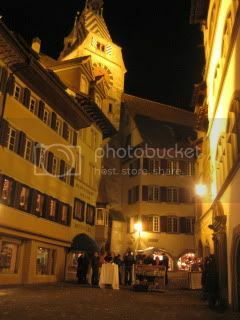 On Saturday night, there were people out in the town, although it very quiet compared to LA or Tokyo. Since it was my last night in Switzerland, I wanted to eat local Swiss food. 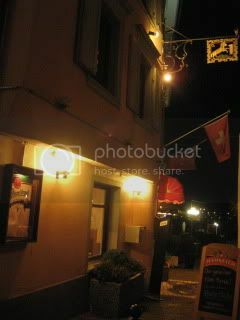 I found a cute place, called Gasthaus Widder (Landsgemeindeplatz 12, CH-6300 Zug) near the lake. It's situated in a little house built in 13th century. 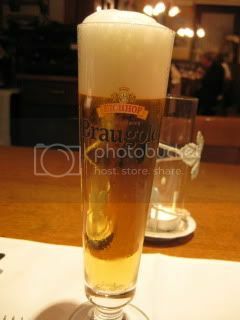 Swiss beer tasted so fresh and good. I also had Swiss Pinot Noir (from Valais Canton). 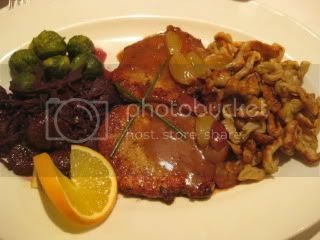 I ordered Pork Schnitzel, served with brussels sprouts, red cabbage stew, glazed chstnuts, and spatzle. There were also sides of extra gravy and cranberry sauce. The dish was quite rich and filling. It was a very rustic dish. Everything is almost outrageously expensive here in Zug. It's far beyond LA standard. 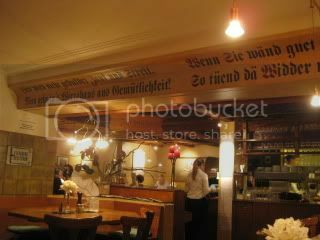 My simple schnitzel dish was more than 46CHF (more than US$50! ), and it's pretty much on a standard price level anywhere you go to in this town. (At those casual Italian places, no simple pasta is under 25CHF.) With beer and a small glass of wine, my dinner was more than $70.